Dacorum Borough Council’s gas contractor, AFR Ltd, is giving its council tenants an opportunity to win £100 if they keep their boiler service appointments. The initiative, where cash can be won in a monthly prize draw, hopes to encourage residents to look after their boilers. 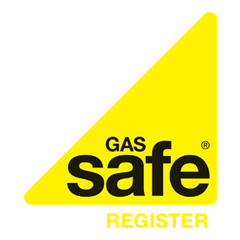 Fiona Williamson, property and place group manager at the council, believes it’s important to carry out gas safety checks regularly. She commented: “Dacorum Borough Council are required to carry out annual servicing of gas appliances in tenants’ homes. Unfortunately, some tenants in the past have not kept their appointments and we hope that this prize draw will help to encourage them to have these vital checks carried out. AFR Ltd has already presented one lucky tenant with a cheque for £100. The winner chose not to be named. In February 2011 AFR Ltd will be changing their name to Eaga. This re-brand will include uniforms, vehicle livery and stationery. The change is expected to happen over a period of months.